At a c-note, the Performance Mouse is expensive, but it's worth the dough. 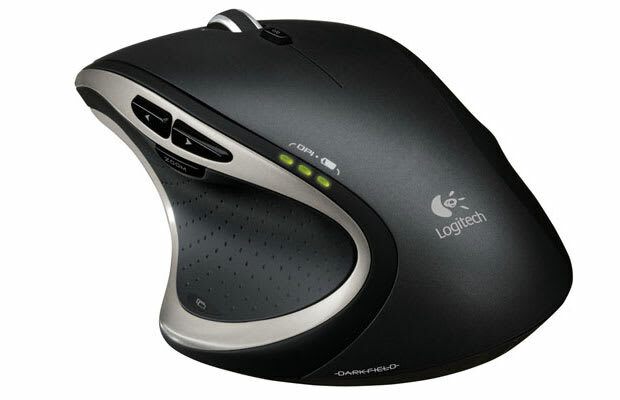 Not only is it one of the most comfortable and pleasurable mice to use, it's incredibly high-tech. The traditional scroll-wheel allows for super-fast scrolling through web pages and documents. There are four programmable buttons around the thumb rest to help automate your work flow. Then there's the tracking. Computer mice have made great strides in their ability to work on a number of different surfaces, but the MX takes the cake. Thanks for Logitech's Darkfield Laser Tracking you can use the Performance Mouse on any surface you'd like. We doubt you would ever need to use it on glass, but you could if you wanted to.